Oniba of Iba, Lagos State, Oba Yushau Goriala Oseni, who was kidnapped by gun men has regained his freedom. 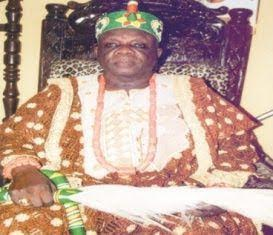 The monarch, who is said to be the father of a former Iba LCDA chairman, Mrs Ramota Oseni-Adeyeri was abducted from his palace by unknown men who stormed the community on Saturday, July 16. The men escaped through the waterways, leaving two people dead and one seriously injured. Police Commissioner, Fatai Owoseni confirmed the Oba's release yesterday, adding that the leader of the kidnapping gang has been arrested by his men.